The Jelly Lounge Windsor is a new concept that will provide a safe and stimulating play, party and teaching area for children of all ages. 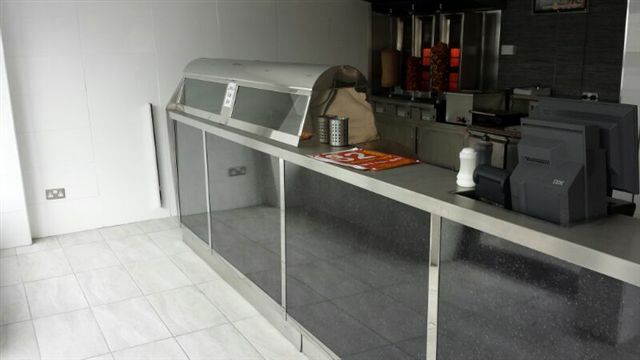 A new kitchen and cafe area was designed and manufactured by POD Stainless Steel Products Ltd to provide Deli style meals and healthy food choice options to the customers and staff. Stainless steel units were manufactured along with a new stainless steel extraction canopy system. 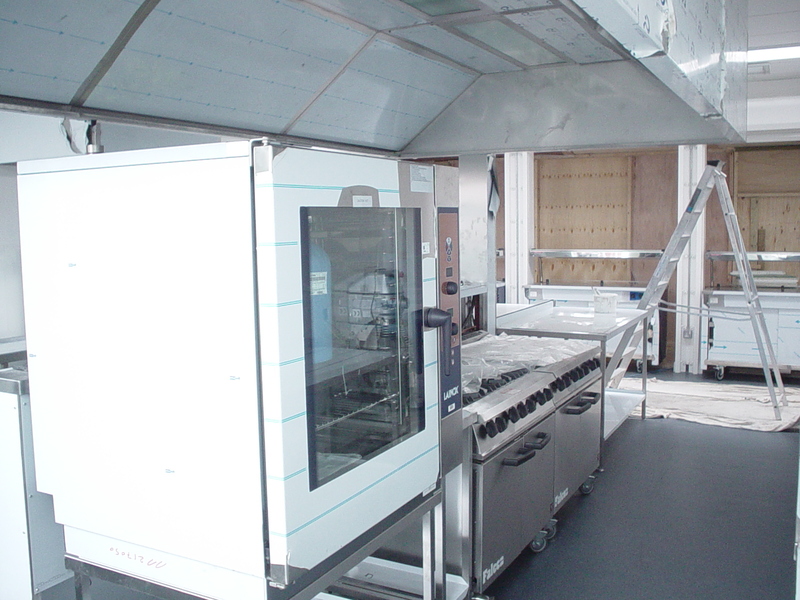 New cooking equipment was provided with Lincat and Blue Seal units installed. 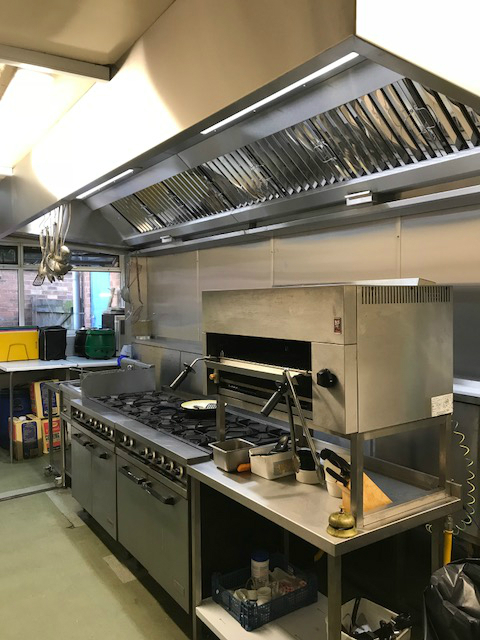 When the kitchen facility at Penn Golf Club was to be updated and improved they selected POD Stainless Steel Products Ltd. POD updated and improved the kitchen facilities with the addition of a new extraction canopy system complete with fresh air make up. A new stainless steel service chamber was installed for housing gas and electrical supplies together with a full height stainless steel partition wall fitted to create more space for siting fridges and freezers. New gas safety and interlock equipment was installed to bring the kitchen facility in line with the latest gas council regulations for commercial kitchens. Low Hill Community Centre, an essential focal point at the very hub of the local community. Consisting of a large hall with stage servicing a vast array of events. 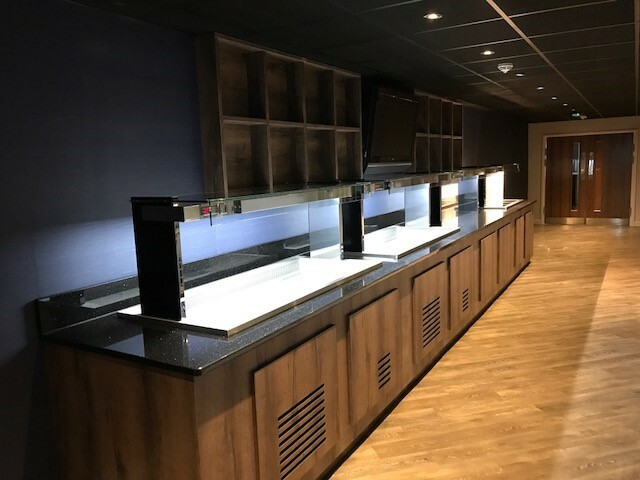 POD Ltd were asked to alter the existing domestic style kitchen to provide a commercial facility that could cope with the events and daily use of the centre. 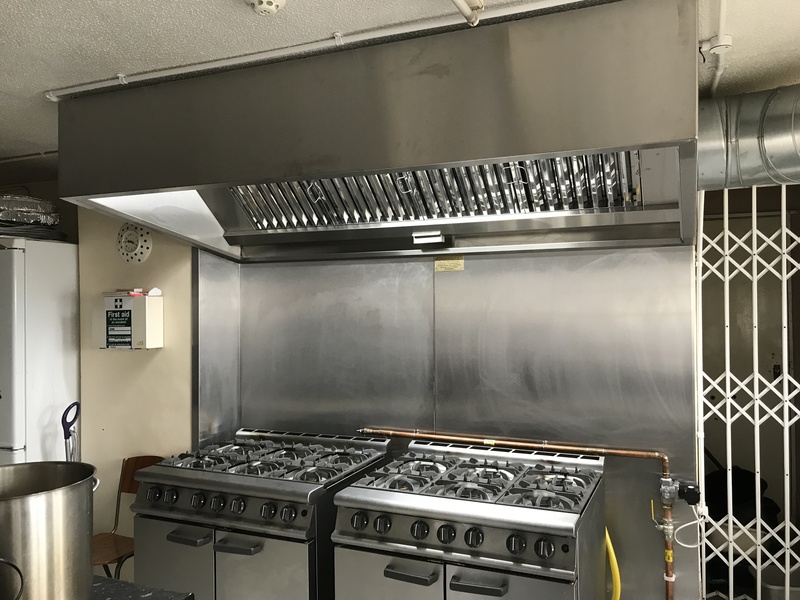 New stainless steel base units and sink units were manufactured and installed complete with a new stainless steel extraction canopy with cooker below. The improvements have provided excellent results with many more local groups using the centre for meetings and events. 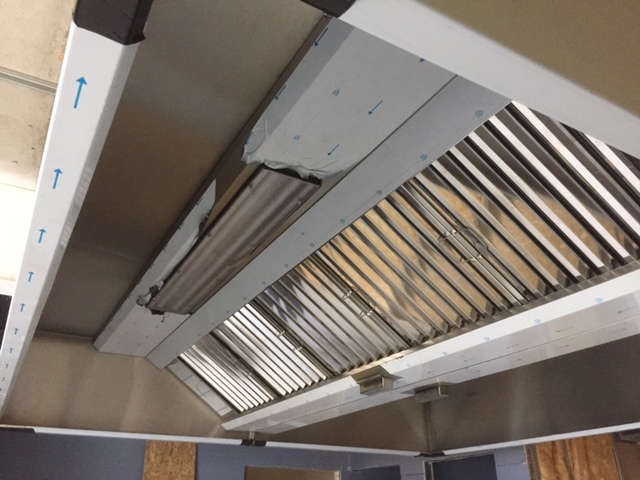 P.O.D Stainless Steel Products worked with the Good Shepherd Centre in Darlington Street, Wolverhampton in partnership with the Goodyear’s Charity Fund to supply and install a new kitchen stainless steel extraction canopy system with fresh air input. Gas control equipment was also installed to ensure the kitchen conformed to the very latest standards and regulations. The new Falcon cooking ranges were donated by the Goodyear Fund and were fully installed and tested by P.O.D Ltd. Every day of the year the Good Shepherd Centre provides up to 200 hot meals to homeless and needy people in Wolverhampton and is an essential facility in the area. 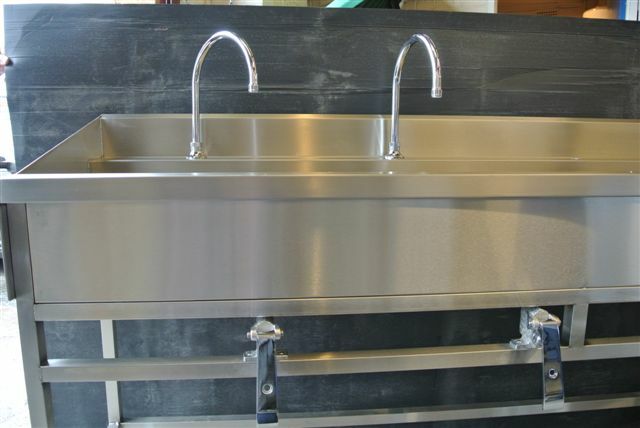 A new stainless steel 316 grade hand wash station complete with knee operated taps, soap dispenser and towel dispenser. Were manufactured and Installed at Ettingshall Poultry Processing factory in Wolverhampton. The new custom designed unit assists in ensuring that correct hygiene procedures are observed prior to staff entering factory. Another POD full turn-key project undertaken at the newly refurbished 4-Stones restaurant in Clent. The project started with installation of new white rock wall cladding and safety flooring. Installation of new dish wash equipment and sink units etc. Another turnkey project specified, manufactured, delivered and installed on time. POD Stainless Steel Products Ltd has been a warded the contract for a new kitchen Installation scheme at a new purpose built Hospice in Woking Surrey. The first stage was to supply and install a new extraction canopy ready for the new suspended ceilings to be installed. The rest of the kitchen equipment will be installed later once all the electrical and mechanical services are in place. Catering for large numbers of hungry students is a daily event for Thomas Telford School and to improve the catering capability a new purpose built dish washing station was required. The stainless steel roller conveyor inlet and outlet tables were designed to enable the installation of a new Hobart Ecomax rack dish washer. The new dirties inlet table measuring 3.5m in length includes an IMC waste disposal unit, pre-rinse bowl and spray arm, basket storage runners and full length stainless steel splash back. The clean side outlet table includes a 90 degree turn complete with basket rollers, basket storage runners and auto stop end switch. Overbury PLC has rated POD Stainless' overall performance following the completion of the Rugby Free School kitchen project. Overbury inform us that anything above an 8 is top score as they are so precise and critical in the scoring process. Full details are below, but congratulations are in order for the entire POD team having achieved a superb 8.3 rating. Well done everyone involved !! Full details and photos of the completed project can be found in the project listings section. In addition to high quality stainless steel kitchen installations, POD Stainless also manufacture a range of other bespoke stainless steel products. The photograph shows a typical custom stainless steel urinal designed and manufactured to fit a specific installation. Constructed from heavy gauge stainless steel these units are designed to keep their initial appearance after years of use. 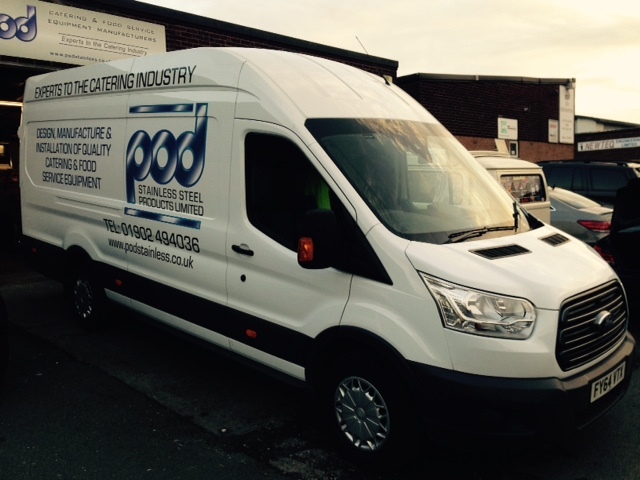 POD have taken delivery of another new delivery vehicle to it's fully equipped vehicle fleet to ensure that products are delivered to the same high quality as they are designed and manufactured. As it says on the side of the van POD Stainless are "Experts to the Catering Industry" and provide "Design, Manufacture and Installation of Quality Catering and Food Service Equipment". POD Stainless can create purpose designed kitchen equipment for virtually any application. 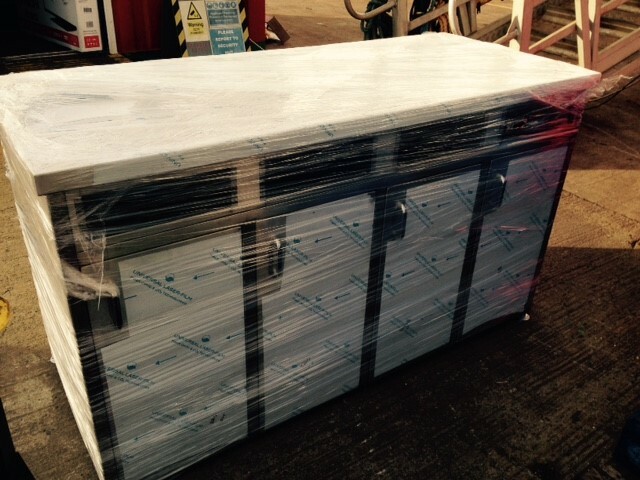 When the IPM Adventurer North Sea exploration vessel needed a new food waste management unit POD were commissioned to design and manufacture it. Made from high grade 316 stainless steel for a maritime application the unit is shown at the dockside waiting to be loaded onto the vessel. Designed by POD Stainless Steel Products to solve the problem of cleaning large kitchen extraction, grease and air intake filters, this stainless steel commercial sink unit is a great example of sensible design to solve everyday problems. 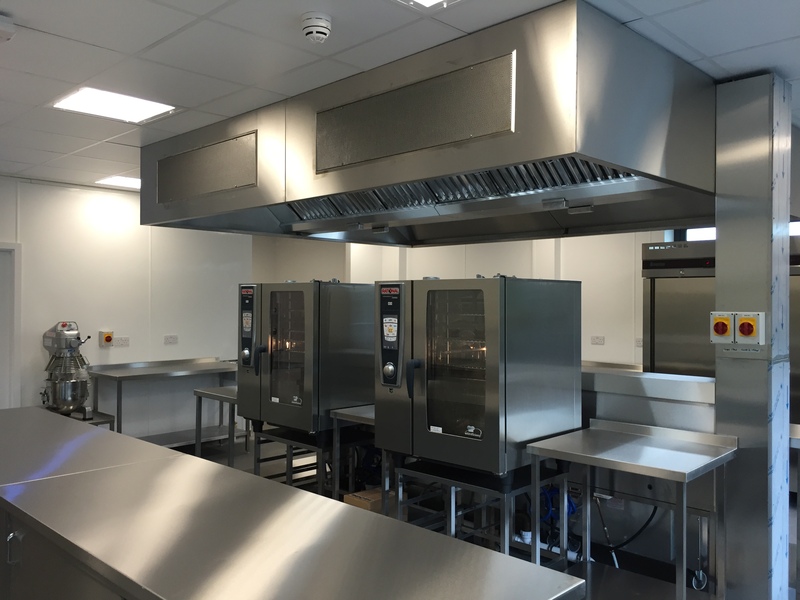 POD designs, manufactures and installs a wide range of stainless steel ventilation and extraction equipment for use in commercial kitchens in schools, food production facilities, hotels, fish and chip shops, restaurants and cafeteria. These and any other kitchen ventilation or extraction system contain large filters which need to be regularly removed and cleaned. How to soak and clean these filters is always a problem and hence POD have designed a deep soaking sing made from stainless steel which allows air intake, extraction and grease filters to be thoroughly soaked and cleaned. Making this awkward task as simple and easy as possible ensures that hygiene standards can be maintained. 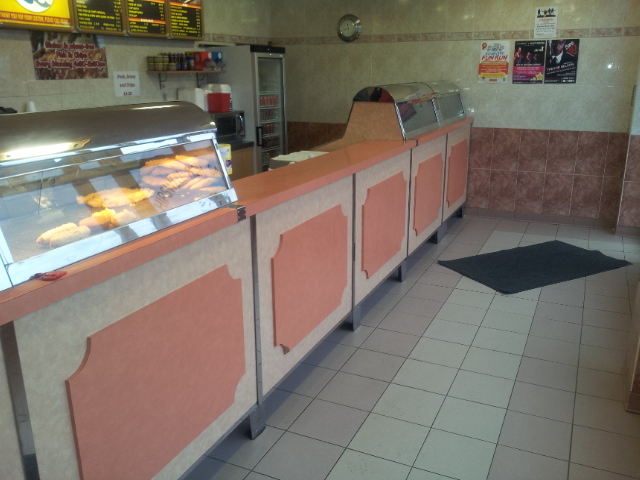 Jimm's chip shop Bedworth was ready for a complete overhaul and POD Stainless were asked to undertake the project. Photographs below show the completed project and the pre-refurbishment equipment. The project included a full refurbishment of the shop including the fish frying range. The range was fully re-wired and new fascia panels and stainless steel tops installed. POD Stainless specialise in commercial kitchen and commercial Kitchen equipment refurbishments, returning equipment to their highest standards and presenting a completely new look to the businesses customers. All of this being done with the minimum amount of downtime and disruption to the facility. The Plane Foods project continues a pace at Heathrow airport. This new fit out stainless steel commercial kitchen has been purpose designed, manufactured and installed to provide the most efficient layout to ensure that airline meals can be produced and despatched on time to meet the stringent requirements of the airline industry. The kitchen includes knee operated hand wash facilities together with a pot wash installed with inlet table and roller outlet tables. The bratt pan drain sluice unit with chute is designed to drain bratt pans after cleaning. POD have been asked to design and manufacture a stainless steel washing trough for Aston Martin. The trough has been designed with knee operated taps to provide the most hygienic hand wash facility for production staff. 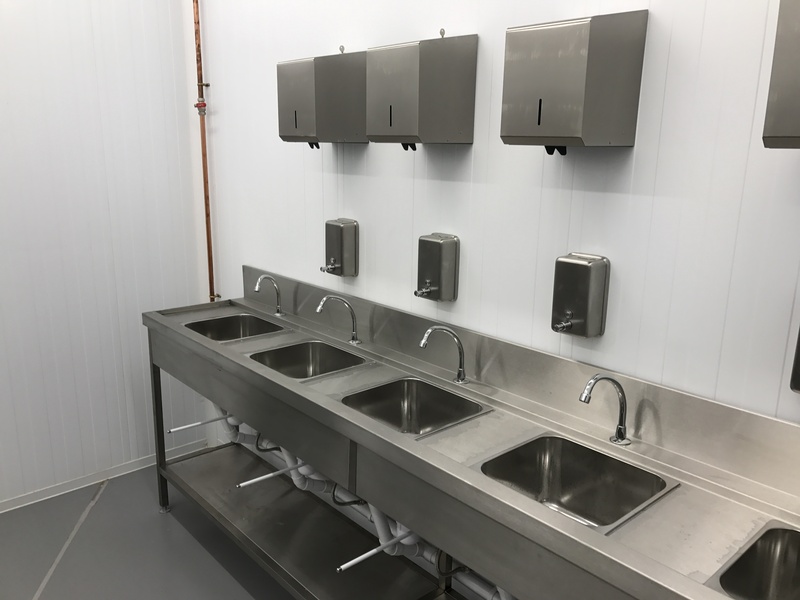 POD Stainless Steel Products can design and manufacture stainless steel washroom facilities to suit the most demanding of applications. Attention to detail and the highest quality materials ensures that our units remain easy to clean and good looking in the toughest of places. Call us today with your requirements and use our enormous experience to install facilities which you will be proud of for years to come. POD Stainless Steel Products are just starting a large scheme to install a fully functional food production factory at Heathrow Airport. Plane Foods factory will produce meals for various airlines and the facility will include cold room storage and controlled environment production rooms for assembling the meal trays and loading on to flight trolleys all from this new commercial kitchen. POD Stainless Steel Products have purpose designed the kitchens and the dish wash and trolley wash areas. Equipment was manufactured and assembled in the POD factory and shipped to the airport for installation. The contract involves design and construction of the main extraction canopy system ducting and the full kitchen and equipment. Photographs show the first phase of equipment installation including the fan motors and silencers installation, extract duct sections and air input duct sections. Blue Seal ovens are being installed under the extraction canopies. Further updates will be added as the project approaches completion, but here is the latest POD Stainless Steel Products' Kitchen Installation video. Full kitchen installation in progress for Worcester Council at Northwick Primary School. POD Stainless Steel have successfully completed another full school kitchen installation for Worcester Council at Northwick Primary School. The pictures show work being finalised at the school. the stainless steel kithcne was designed, manufactured and then installed by the POD Stainless team during the school holidays. 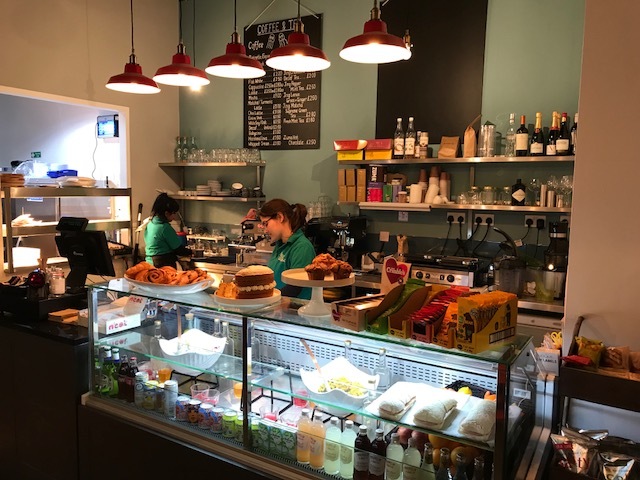 New restaurant and coffee shop facilities with a stainless steel ciommercial kitchen at the award winning new library and archive centre in Worcester.Hot and cold food service counter with coffee section. 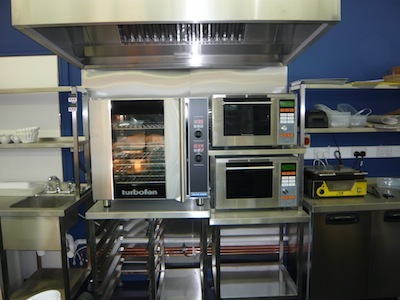 Blue Seal Turbo fan ovens with combi-microwaves, all installed to offer a variety of freshly cooked food every day. Designed from concept to manufacture and installation, all done in house by P.O.D design team. P.O.D Ltd specialise in full “Turn Key” installations, here transforming a typical Victorian dated kitchen into a bright modern efficient functioning facility with excellent working environment. We provide the installation of all services including full electrical rewiring, gas installation including safety interlock equipment, new safety flooring and wall cladding systems. On completion we provide full training on all equipment and facility management with tuition on procedures and legislation requirements. A new modern stylish first floor coffee shop and licenced restaurant. A project designed from scratch to provide efficient facility management for up to 350 covers. The kitchen included the in house design, manufacture and installation of the ventilation system with interlocked gas safety equipment to conform to the latest regulations. All stainless steel equipment is manufactured in our own factory to ensure high quality and installation. The kitchen included Rational combinations ovens and Blue Seal Evolution cooking equipment. 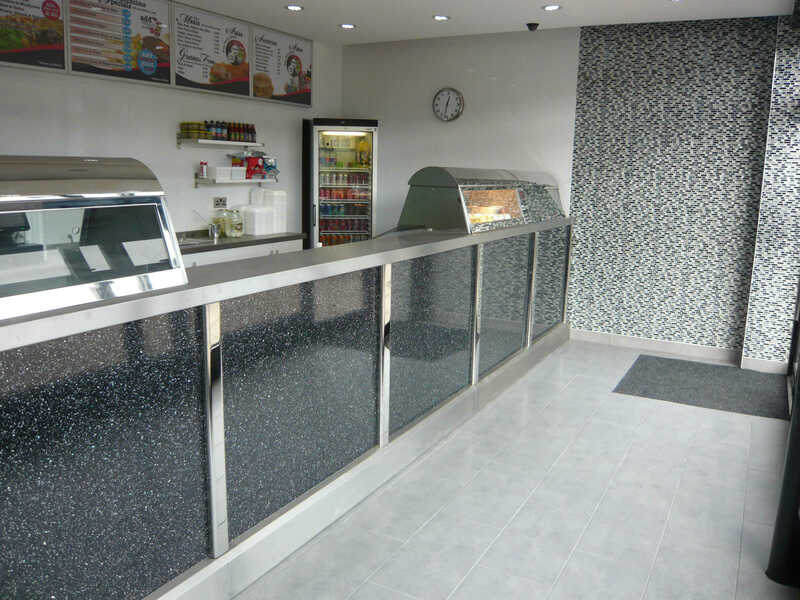 New food service counters with granite tops including inset refrigerated display units.